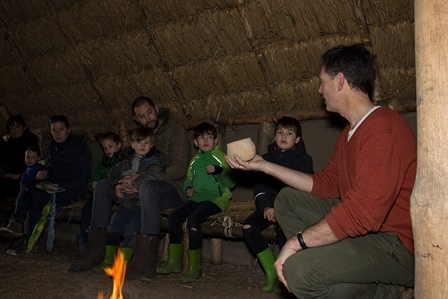 The EAE Broekpolder aims to offer children and other people with an interest in the regional archaeology a real-live insight into past settlements in the Dutch delta. Vlaardingen, not far from Rotterdam hosts a large nature reserve, called Broekpolder. Its size is 400 hectares (almost 1,000 acres), a quarter of the surface of Vlaardingen Municipality. It is an area for walking, mountain biking, et cetera. 2006, a civil initiative started to prevent the Broekpolder from being overbuilt with new houses. Citizens and the local municipality now cooperate in developing this area. 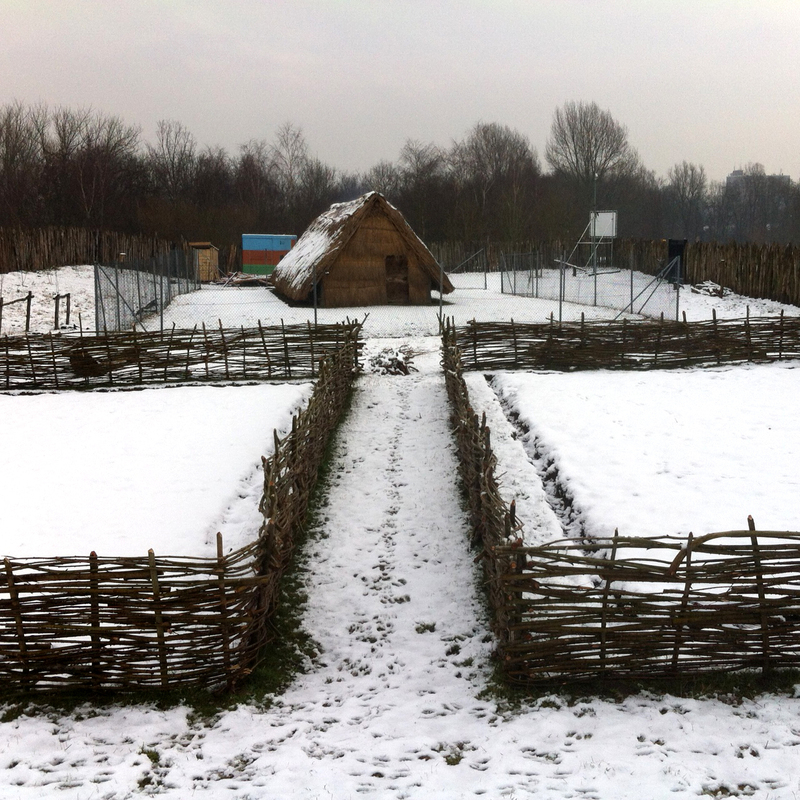 One part of Broekpolder is an archaeological education zone, in Dutch “Educatief Archeologisch Erf” (EAE). Vlaardingen has an archaeological past going back very long. 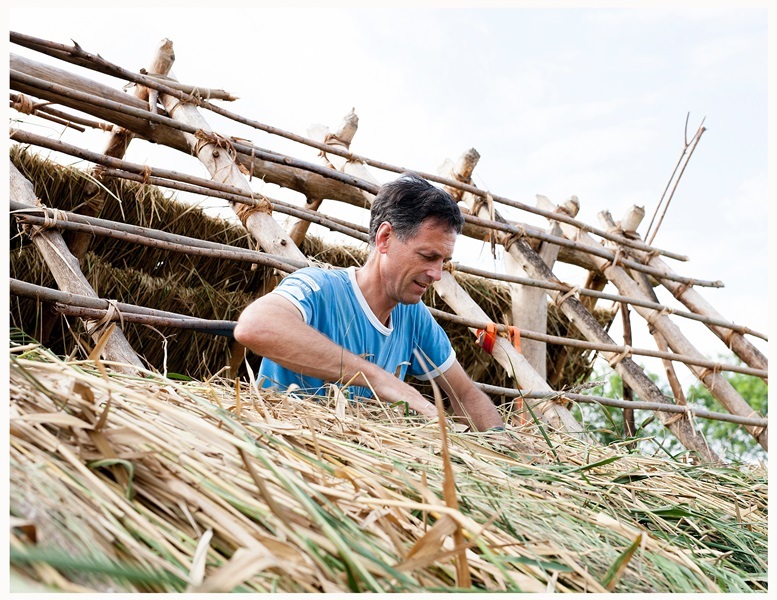 The EAE is meant to reconstruct dwellings from all periods, Stone Age until more recent times. The first house was built in summer 2016, a so called Vlaardingencultuur House. The Vlaardingen Culture is a Neolithic period (about 3,000 BC) and was named after archaeological finds from the 1950s in Vlaardingen Westwijk. 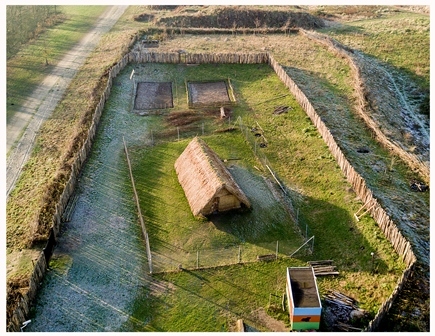 The Stone Age house at Broekpolder was constructed by archaeology students from Leiden University and volunteers from Vlaardingen. It is surrounded by a palisade and has small agricultural fields around the corner. Over the coming years more houses will be reconstructed and the landscape will also be remodelled. 2018, the EAE will play a role in the festivities around the celebrations of the Vlaardingen Battle from 1018 AD. The EAE is used for school groups and is open on Sunday afternoons for passers-by.